My introduction to bushcraft was in 1997: Woodlore’s Foundation course, led by Ray. It was an inspiring, life-changing experience. I went on to do other courses, culminating in the Journeyman, and a whole range of other trips and activities. 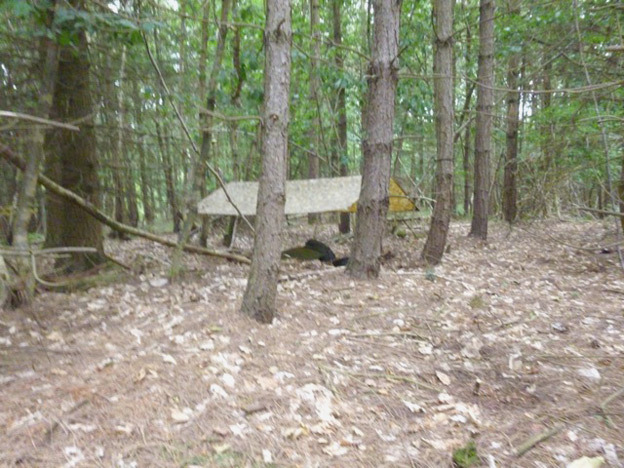 To mark the anniversary I signed up for the Fundamental Bushcraft course, held at the new Severnside location this July, twenty years later to the month. It would be a refresher and an update. I wondered how much the course had changed and at 74 would I still be up to it? I’m delighted to say that it was a great experience. It was too challenging for my old knees on the longer walks and kneeling for the bow drill, which was frustrating, but otherwise completely satisfying and enjoyable, and with a great group of people. Instructors Brian and David were excellent and chief instructor Keith was outstanding. The 1997 joining instructions said, “we will not be walking with rucksacks.” I found that this was no longer the case: the course now is more geared to moving from site to site. Natural navigation was a welcome addition, although nature awareness, observation and basic tracking were no longer included – that was one of the many areas which inspired me the first time round. It’s a brilliant course, though: thorough, detailed and taught by real experts. Highly recommended. 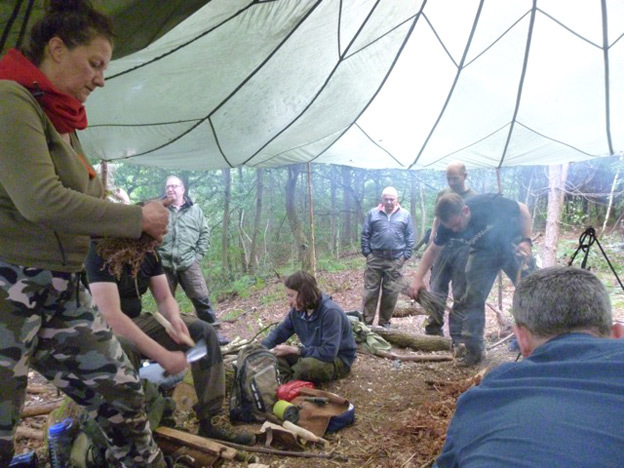 This entry was posted in Bushcraft Courses & Expeditions, Customer Posts and tagged anniversary, bushcraft, courses, Fundamental Bushcraft, Ray Mears, woodlore on August 8, 2017 by Woodlore Team.